Regulations and balance sheet management have combined to create the greatest level of disruption that the industry has seen since 2008, but this time the changes are likely to be more profound and long-lasting than before. The next question is: will your firm be reactive or proactive in realizing tangible benefits from these changes? A guest post from Pirum. 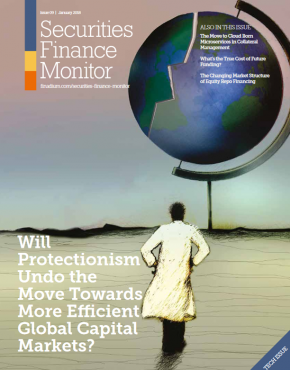 The problem faced by banks and asset managers in today’s securities finance market is that revenues, while up in many cases, are having to compete with other businesses within the firm for the amount of investment necessary to prepare for the new environment. The Securities Financing Transactions Regulation (SFTR) in particular requires substantial effort. Meanwhile, as businesses plan and invest to comply with this regulation, they are looking to achieve real benefits in cleaning data and increasing visibility, leading to process efficiency. This is creating internal stress for many managers who are balancing the short term need to comply with the reporting requirement and taking a broader view to capitalise on the benefits that clean data brings. There are choices to be made on how this all gets done effectively. 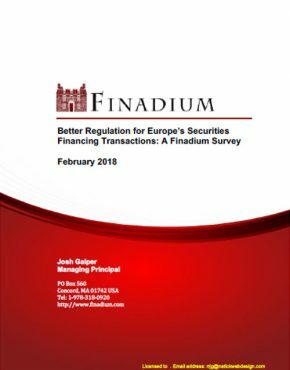 The challenge faced by securities finance is not unique to this industry; nearly every part of capital markets is being confronted with increasing costs, fewer people and a steady stream of regulatory and technological change that continues to evolve traditional business models. Whilst there are many hurdles to overcome, there is still a lot going right in securities finance. Transactional flows and assets are both strong, according to our own data, ISLA, ICMA and data vendors. While 2017’s bull market didn’t help short sellers, beneficial owner revenues in securities lending were still up over 2016. And starting in March 2018, lending volumes again ticked up as global uncertainty meant more demand for borrowing. 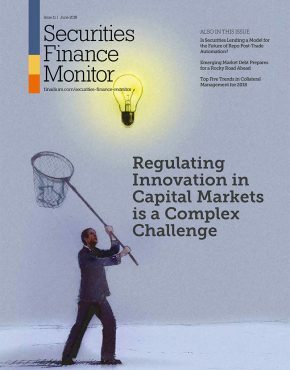 For repo activity and securities finance more generally within banks, there is an increasing importance on effective financial resource management as well as a laser focus on returns and financial resource management. 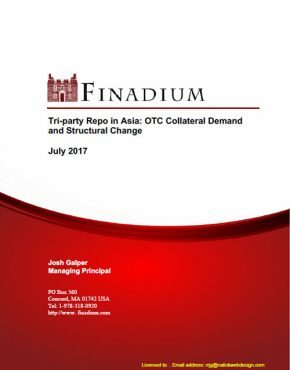 Gone are the days of giving balance sheets away for wafer thin spreads: increasingly banks demand a higher degree of business or flow reciprocity for supporting clients’ repo and re-financing activities. There is also a wider acknowledgement of the importance of repo operations to the broader and well-functioning banking ecosystem. This is clearly demonstrated with the introduction of the Secured Overnight Financing Rate (SOFR) by the Federal Reserve, based on overnight US Treasury repo operations, and is a clear departure from unsecured interbank reference rate such as LIBOR. This change, coupled with ongoing and growing support of other securities finance activity as core, suggests that we are seeing a departure from the “shadow” activity and a move into the centre. Add on impending regulation, and this means we are seeing a rapid evolution in infrastructures and operating models. 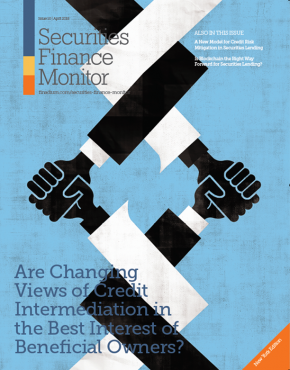 We see three major concerns in securities finance at this time from a technology perspective: data aggregation, connectivity and efficiency. Each one of these issues should be evaluated in turn while recognizing points of overlap. Data aggregation is a global challenge. The conversation on efficient data management began with collateral and inventory management, but just as the Liquidity Coverage Ratio (LCR) forced banks to change their internal processes, so will SFTR lead to important new data management processes for both external reporting and internal transparency. 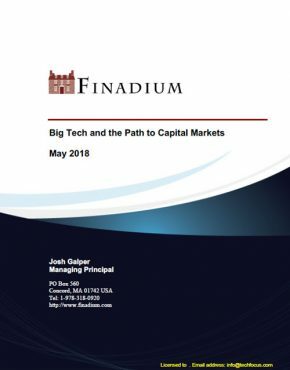 This will be a broad change throughout financial markets impacting the sell-side, buy-side, as well as any firm that is or trades with a European counterparty. In a perfect world, firms would have organised and consolidated their data years ago. A few firms that have taken leading positions in enterprise wide collateral management understand the value that data provides, including insights on market pricing, client pricing and the cost of inventory utilization. Since collateral is held across different silos and platforms, this became a test case for data aggregation. But relative to SFTR, exercises in collateral and inventory management have been limited: SFTR will require every participant in securities finance connected to Europe to get serious about data aggregation, with no exceptions. It’s a far-reaching change in how financial services firms look at data. Connectivity has always been important in financial markets, and an increase in global and local service providers puts additional pressure on financial services firms to compete. The points of connectivity include tri-party, CCP, trade repositories, exchanges, analytics, post-trade services and derivatives margin solutions. Maintaining this connectivity internally is cumbersome for individual firms, but as the industry moves towards outsourcing, standardization is still elusive for many firms, products and solutions. Securities finance will be required to conform to ISO 20022 for SFTR reporting into trade repositories. For all firms to adhere to these standards across an industry with a regulatory driven deadline would be hugely expensive if every player had to change systems and interfaces to meet the standard. To achieve this efficiently and effectively across the industry will rely on extending existing connectivity to the venues that are already the natural accumulators of data to carry out the translation into the standard, typically post-trade, automation platforms. Efficiency is about more than headcount savings. Now more than ever, efficiency means taking advantage of external service providers vs. building internally, making the best use of assets and balance sheet efficiency. This is connected to the efficient use of people internal to the firm as well as those working thousands of miles away, who are sometimes connected through Business Process Outsourcing (BPO) arrangements. The drive towards efficiency can be seen in the context of shortened settlement cycles. Same day business, including same-day prepay to avoid overnight unsecured exposure, and ensuring compliance with local regulations, such as The Central Securities Depositories Regulation (CSDR) will steer the efficiency conversation towards the adoption of greater process automation to achieve greater efficiencies. 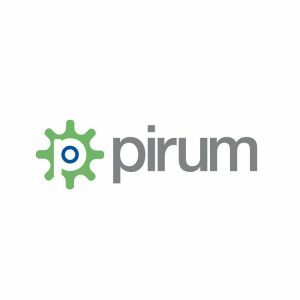 We at Pirum think we are in the middle of solving the three big challenges of data aggregation, connectivity and efficiency, and that there is yet some ways to go. The most important part of moving forward at this time is engagement across the industry on agreeing the key challenges to be addressed. This will deliver the greatest benefits for all participants. Whilst many firms have developed automation front to back within their organizations, challenges still remain with automation between organizations and service providers. The next step is surmounting immediate challenges in data aggregation. This will serve to bring together information across product silos to create enterprise wide visibility and efficiencies as well as solve the short term requirements of SFTR. SFTR will in itself act as a process of aggregation with the need to report securities lending, repo, margin lending and collateral data; this will in turn drive further business model efficiencies. 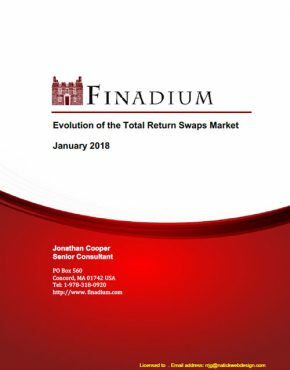 The outcome of this work will be the evolution of the securities finance industry, still supporting short sellers, market efficiency and secured financing of trading books, but with a greatly enhanced level of cohesivenessand a much lower cost base than today. Increased visibility will also support better decision making across the firm and improve balance sheet utilization. This is achievable and can create space and time to develop new business opportunities. The challenges are many, as are the opportunities that will form the basis of a workable vision going forward. Rajen Sheth is CEO of Pirum System. 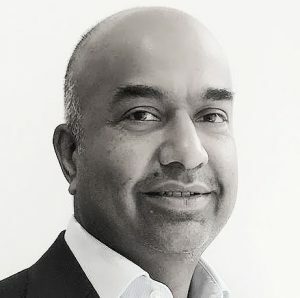 Raj joined Pirum in 2003 and has been in the role of CEO since 2014. He started his career in technology as a software programmer and progressed to running IT teams within investment banks. Prior to working at Pirum, Raj held IT programme management positions at UBS supporting both Equities and OTC products; his last role was head of cash equity post-trade strategic IT. Before this, Raj was head of Prime Broker IT at Lehman Brothers delivering front office and client technology solutions.